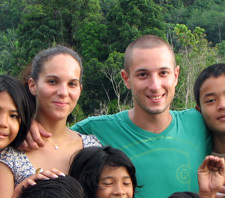 Jeremy and Audrey (France) wanted to spend time with local people and contribute their talents to a worthwhile cause. They found that opportunity through Andaman Discoveries’ newest long-term volunteering program at a southern Thailand orphanage. The couple concluded that “it was a wonderful experience. Thank you to Andaman Discoveries for introducing us to the orphanage. We encourage everybody to do the same.” You can learn more about this new program on our website, or contact us for details.